The children who cope well with scars, are those who are encouraged to talk about it. Whether it’s a small facial scar or a larger area of scar, it can have a psychological impact on children. So, giving young people – and yourself – the confidence to talk about their scar and to answer other people’s questions is vital. 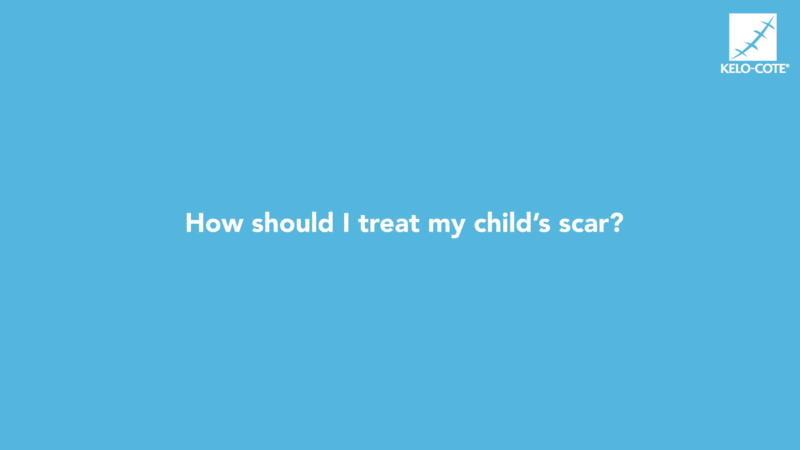 For the first 12-18 months, a scar is still in the maturation phase, but there are steps you can take to help your child’s scar to heal well. For example, regularly apply moisturiser to help hydrate the tissue and massage the area. Specific treatments such as silicone gels are also suitable and easy to use for children to help improve the appearance of a scar – and can be applied up to two years after the injury. It’s so important for children of any age to be outside and active, so a scar shouldn’t stop them from enjoying life. While you will naturally feel cautious of any further injury, you need to encourage your child to return to their normal routines. And, if you’re on holiday, as long as you follow sun protection guidelines and protect the scar from over exposure to UV, children can play on the beach, swim in the sea and enjoy outdoor activities.